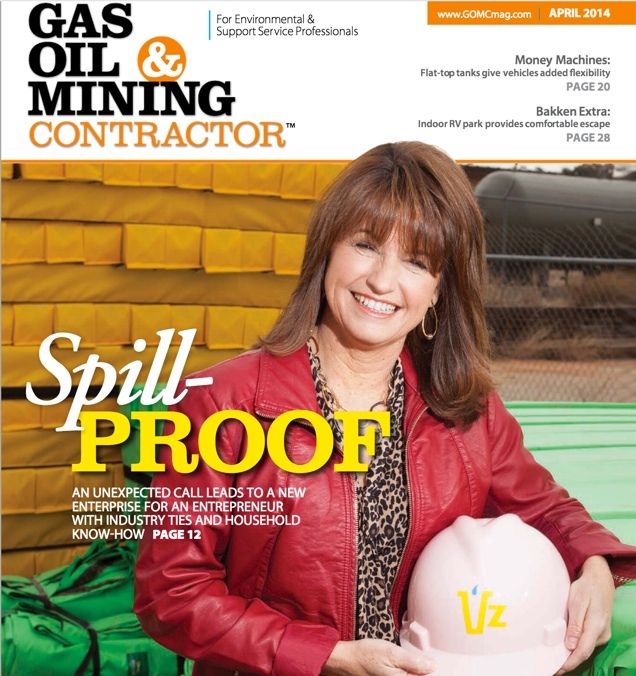 It’s not often that a former stay-at-home soccer mom becomes the head of a gas and oilfield support-services company. But that’s exactly where Carol Jones finds herself, a scant four years after she founded VZ Environmental, a company that provides fluid- and dust-containment products and services for drilling companies and contractors. The growth of VZ Environmental, based in Fort Worth, Texas, stems from a simple formula for business success: Spot an undeveloped market niche/customer need, capitalize on it by developing several innovative products, then provide great customer service out in the field. But that’s deceptively simple; it also required a good idea, a little business savvy, a penchant for risk-taking, a lot of hard work and the help of a longtime oil-industry veteran. VZ Environmental currently rents and services three basic products developed in conjunction with ACF. The first is called VMatz, a modular secondary spill containment unit that consists of a vinyl, chemical-resistant drip pan (floor) with bright-yellow, detachable “drive-over” walls that form a leak-proof barrier. Made of vinyl-encased foam, the walls spring back into place if a vehicle drives over them. Contractors place machines and equipment atop the VMatz, which can be custom-made to various sizes. The second product is portable Frac Ponds called VPondz. It features 2- to 4-foot-high walls and is used for higher-volume spill containment. For example, drilling companies might place large water or flowback tanks inside a VPondz unit in case a tank leaks or ruptures. Like VMatz, the size of each unit varies; larger ones might reach 23,000 square feet in size. The third product, VSoxz silica dust filter, is used primarily to control dust created while unloading silica sand. As its name implies, the device is basically a large sock-like bag made of a proprietary fabric that passively filters dust and other particles. Crews place the custom-made, reusable VSoxz over hatches on bulk-proppant storage units; the bags inflate automatically as silica sand is off-loaded from pneumatic trailers into the storage units. During off-loading, the bags allow positive air pressure to escape, but trap dangerous and unsightly silica-dust particles. To compensate for the tough working conditions, VZ Environmental uses various means to attract and retain employees. The company provides vigorous job and safety training and offers competitive pay, plus medical, dental and vision insurance. In addition, the company has strategically positioned its four service yards in areas where the majority of employees live – South Texas, West Texas, North Texas and Oklahoma – as opposed to centrally locating them in various oil and gas shale plays.